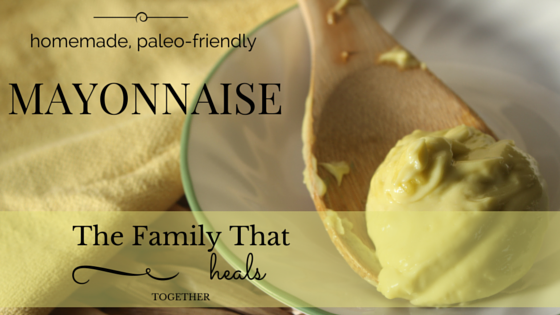 Although I’ve been eating a paleo-style diet for the better part of three years, I never made mayonnaise until recently, 1. because we don’t eat sandwiches and 2. because I’ve never really liked dressings or dips. That all changed when I fell in love with an amazing chopped salad, which I decided to recreate. For the dressing, I needed some mayonnaise, so it only made sense to make my own! Here are the simple instructions. Place all ingredients but the oil in a jar and blend with a stick blender (also called an immersion blender). 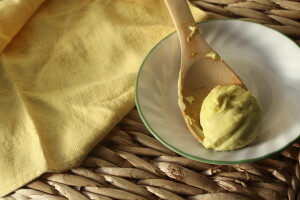 While continuing to blend, slowly pour the avocado oil into the mixture, one tablespoon at a time. 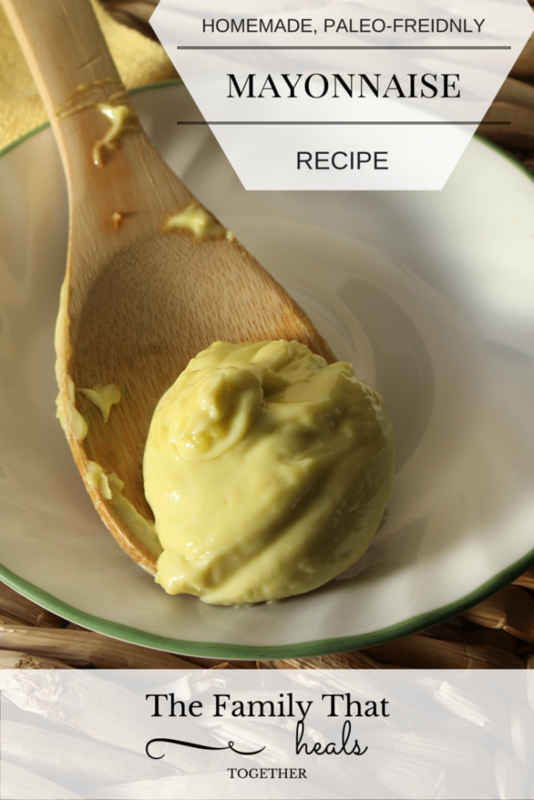 Once the mayonnaise reaches a nice, thick, blended consistency, discontinue adding oil.